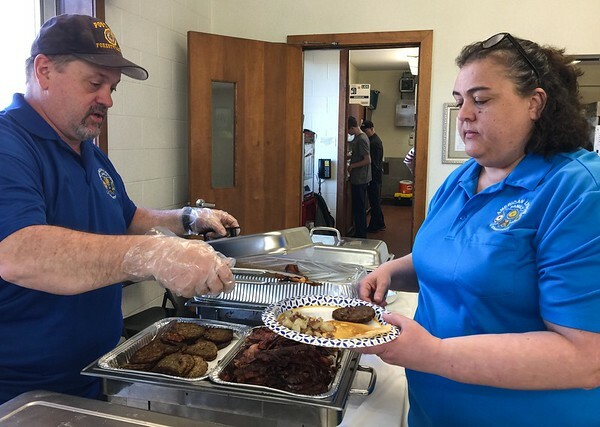 BRISTOL - Smells of maple syrup lathered pancakes, sizzling bacon and fresh coffee filled Gloria Dei Lutheran Church Saturday during the American Legion Post 209 Breakfast. 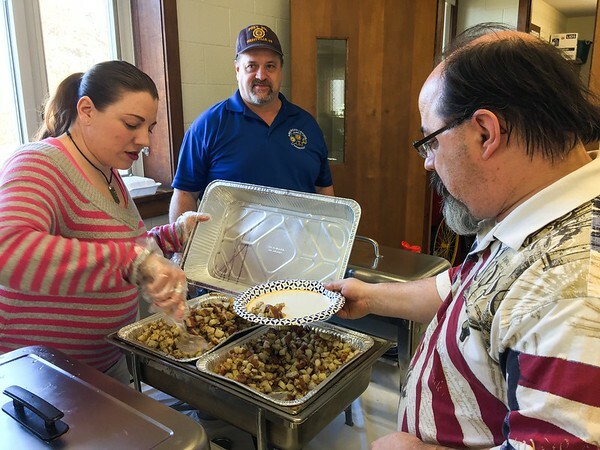 Members of the full family post, which includes Legion Riders, Auxiliary and Sons of the American Legion, chomped down on eggs, sausage and home fries. This was the post’s third breakfast at the church and members hope to make it a monthly event. The event also had a 50/50 raffle and sold Valentine’s Day pops to benefit Post 209 so they can continue to support veterans and give back to the community. There was also a quilt raffle that benefits the American Legion first district, which covers Hartford County. The quilt was made by one of Post 209’s members. The post, founded five years ago by Chuck Woodin, hosts many events and fundraisers throughout the year. In May, they’ll be hosting a free fishing derby for kids. In addition, Post 209 has been running the Forestville Memorial Day Parade since 2015 and holds a Christmas party that helps struggling families. Brian Avery, commander of Post 209, said they gave toys to 177 kids during the holiday season. “We raised money to purchase these toys from events like today’s,” Avery said. The Post 209 Legion Riders aims to start a yearly $500 scholarship for one boy and one girl to help pay for things like books and school supplies. The post also sends one girl to Girls State and one boy to Boys State. Girls State and Boys State are summer youth programs where kids learn leadership skills and about the government. Michelle Jalbert can be reached at mjalbert@centralctcommunications.com. Posted in The Bristol Press, Bristol, Forestville, General News on Sunday, 10 February 2019 20:17. Updated: Sunday, 10 February 2019 20:20.